Magnetic stripe cards are used in many parts of our daily life – as membership cards at the gym or fitness center, as library cards, as student ID cards, as employee ID cards, as retail rewards cards at the grocery store, and so much more. But did you know there are different types of magnetic stripe cards? 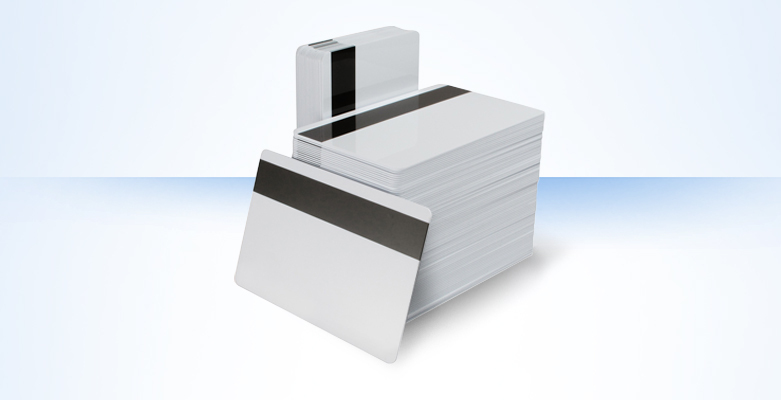 At first glance, HiCo and LoCo cards may look the same – they are both magnetic stripe cards. The difference is in how they are encoded, and a small color difference between their magnetic stripes. HiCo cards, or high coercivity cards, require a higher magnetic pull to encode (and be erased), allowing them to store data longer. HiCo cards are used for credit and debit cards, access control cards, membership cards, and anything else you want to last a long time. LoCo cards are the opposite, with low coercivity that requires much less magnetic pull to encode and erase – this makes them perfect for temporary cards, like a parking garage ticket, or cards that are erased and rewritten frequently like a hotel room key card. And the easiest way to tell them apart? Their color! HiCo cards have a black magnetic stripe, while the magnetic stripe on a LoCo card will have a brown hue.